Everywhere I look, I’m seeing military, oversized cardigans, and leather, and I want in on this. I have one military jacket, in a washed down medium brown twill, and it is probably about 4 years old from Old Navy. It has held up beautifully and I wear it A LOT. 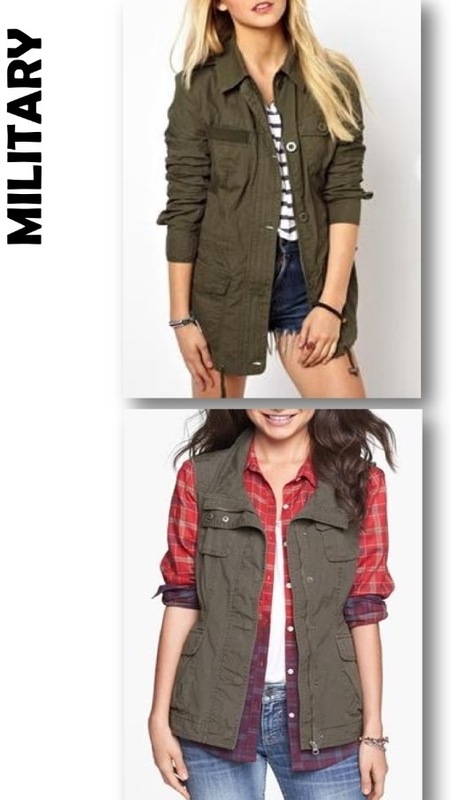 I’d love to bring in another military jacket in a true army green, with a little different styling to mix it up a bit. This military jacket fits the bill. To continue with the military theme, I have my eye on this vest. I have seen the vest styled like below, but layered over something more femme like a lightweight dress and cardigan with ankle booties, so cute. 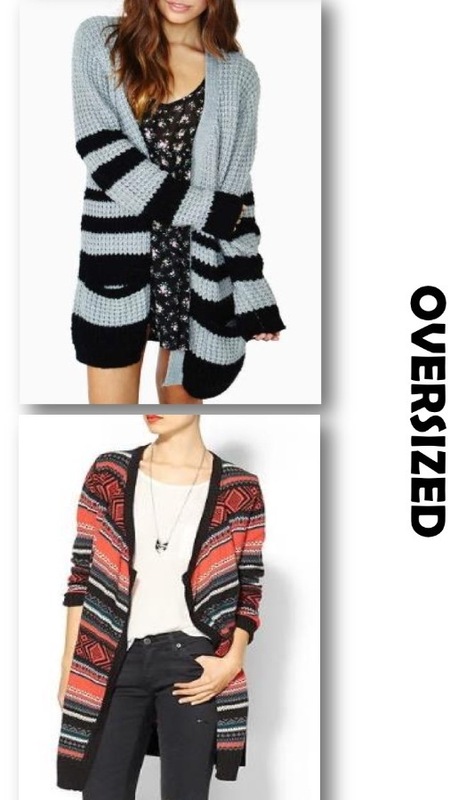 Speaking of cardigans…I LOVE this oversized striped cardigan. I would wear this over and over again. I am also pleasantly surprised that I am so into this Fair Isle sweater because it has so much color. I am in dire need of color in my wardrobe and this pop of orange is gorgeous. Last but certainly not least, this faux leather moto jacket in burgundy is so rich looking. The moto jacket is totally on trend and in this color, perfect for fall. I have no leather or faux leather in my wardrobe right now and at $25, this is a definite option. 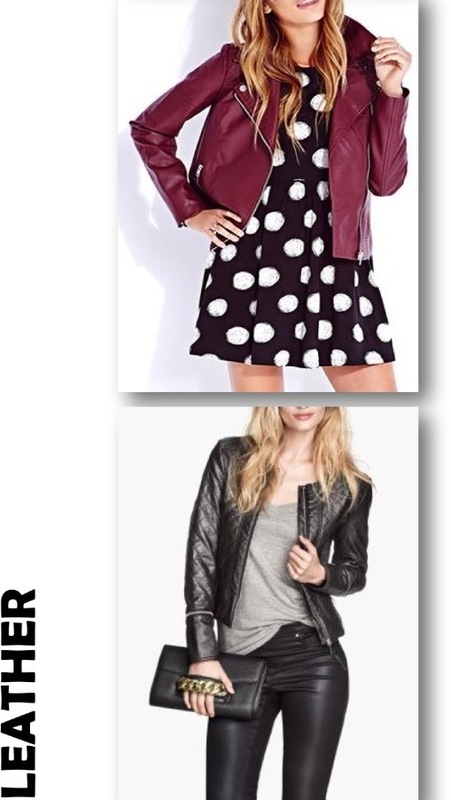 I’m also very into this quilted faux leather jacket, totally chic and versatile, styled as below or layered over a dress. Which jackets and cardigans are on your wish list right now?